The past year has been a great deal of fun and work for me. I’ve tried a number of different game ideas, and have learned a great deal about the game industry. Aside from learning that I must stick to my current niche market that is air traffic control games, I’ve also realized that the market has moved to mobile. Sure, there are many who still download and play games on their PC or Mac, and many who realize that ours are more suited to such devices, but getting our games into Google Play and the App Store was a wise move. Um… this is highly unlikely. I’ve made five Airport Madness games so far, the sixth currently in production. 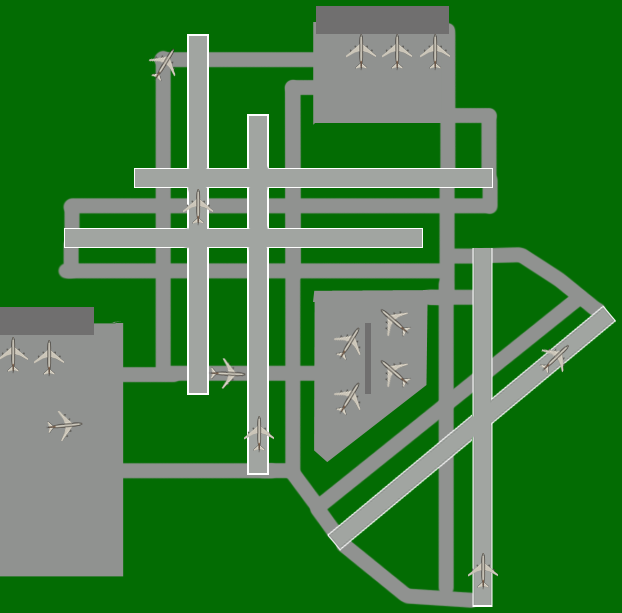 Airport Madness World Edition and Radar Chaos World Edition were originally intended to have three, possibly four versions. However, at this time I am considering launching only a single version of these games, but offering some lifespan to them, by continually adding on. I just released Radar Chaos World Edition, which contains five maps. This month I will add a map. Next month, one more. And so on, until it has somewhere in the neighborhood of 20 maps. Keeping it all together in one version will not only be cheaper for the customer, it will likely work out well for me, in terms of profit, because the games will hopefully continue to pick up steam and momentum, as a result of their longer lifespan. I’ve been accused of my past games being “hit and runs”, where I release them, spend a month our two fixing bugs, then move on to the next endeavor. My vision is to have two solid games on my site. Radar Chaos World Edition and Airport Madness World Edition, both available on as many platforms as possible. My other games will always be there, but won’t clutter the home page with noise. My dream is to come up with a third air traffic control game. I’ve given a great deal of thought to creating something 3D, that puts you directly inside the control tower with a swiveling chair and a 360 degree view of an airfield. I’ve also been considering a “ground control” game, that focuses purely on the airfield itself, the taxiways, aprons, deice stations and gates. I’m not convinced that either of these would necessarily be a fun game, but we’ll see. I’ll put together a very rough prototype and let the testers decide what they think. 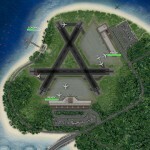 Look for Airport Madness: World Edition, coming this September! This entry was posted in Airport Madness: World Edition on June 17, 2014 by admin.